Light housings are in very good condition. Wife and I are getting ready to move, and trying to sell off some stuff, so it will be less to pack. I am not sure what these go for.....I was thinking $50 bucks for everything with shipping, or best offer. Thanks for looking guys. Need to tap into the turn signals and parking lights for mirrors, where to find? 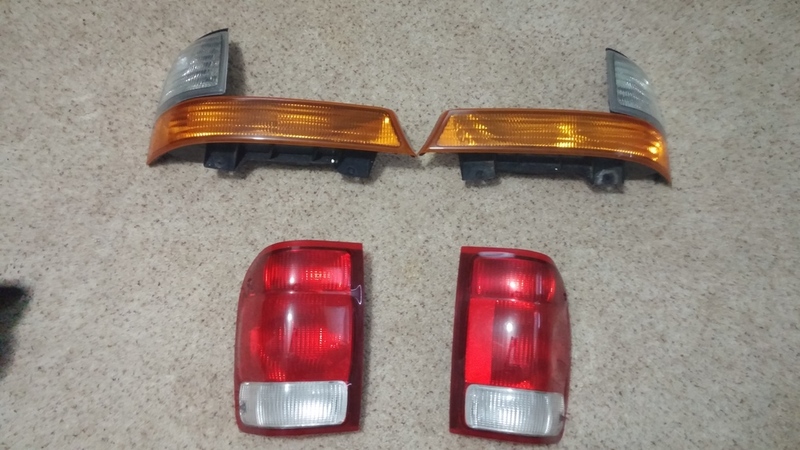 Idea for LED tail and parking lights.